Learn and share ideas, resources, and best practices with other network members across Washington State about school gardening. School gardeners, farm-based educators, non-profits, and resource providers share ideas, questions, challenges, and solutions with each other to help advance work around the state on increasing local foods in K-12 school cafeterias. This Community of Practice (CoP) consists of an email list with members statewide, and the opportunity to participate in regular conference calls with other members on topics related to school gardening and farm-based learning. Not a member yet? 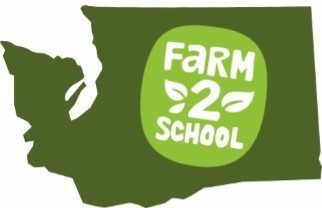 Sign up as a Washington State Farm to School Network member to join the School Gardens & Farm-Based Education Community of Practice. Check out the statewide Americorps food & garden educator team launched by Common Threads in 2018!